If a flood or leaking water pipes have caused damage to a home or business, then contact us! Mold develops into an issue inside a Reno home or even a Reno business when there is excessive humidity or moisture for long periods of time. Additionally, warm moist air or high humidity that eventually condenses on cool surfaces may trigger mold problems in your home. Mold problems can from issues such pipe bursts, large spills going untreated, leaking plumbing or roof, and or sudden water releases. It is advisable to contact professionals to evaluate and remedy the issue of mold accumulation. Mold can develop virtually anywhere as long as the conditions suit it. When there is visible growth on wall surfaces, homeowners should be concerned on the goings at the opposite side of the wall. This is due to the drastic difference between either side of a wall as environmental conditions are different inside and outside. When walls remain wet for long periods, mold is guaranteed to develop; hence homeowners should be keen on eliminating the issue. Usually, ensuring the wet conditions are eliminated and moldy materials removed is the best option to remedy it. However, in case the situation gets out of hand, consult mold remedy professionals. Professional contractors will come to your home or business and determine the source of mold as well as identifying areas affected. These certified staffs will formulate a remediation plan as well. Once the source of moisture is identified, the affected regions will be closed off to avoid spreading to uncontaminated areas. Professional contractors have specialized tools to clean the air using HEPA filters in order to dry it off. This work is especially important to contract certified people as contaminants can affect you or other people within the compound. For safety and guaranteed of non-occurrence, affected materials should be removed from your compound. Mold is a living organism and usually ingrains itself deeply into its host, making porous materials dangerous to keep once affected. It is critical that cleaned materials remain dry completely. These specialists usually have moisture containment strategies necessary to keep off the mess out of your property. The importance of this cannot be understated as it will affect future mold encroachment. After removing affected items, professional mold restoration companies will restore your property to its original state. They will ensure mold-free and clean materials restore your home to its original state. Good companies will search for any signs of recurrent moisture damage. Additionally, they will also give your home a period of recovery with a periodic evaluation to determine the success of their work. This, however, is done if the extent of damage by the mold is too large and needs extended attention. Mold poses health risks to home occupants and should be dealt with immediately it occurs. Suspecting mold occurrence should prompt every homeowner to seek the services of qualified personnel to ensure the health of your family is not put in jeopardy. When to hire a Water Damage Repair company in Reno? 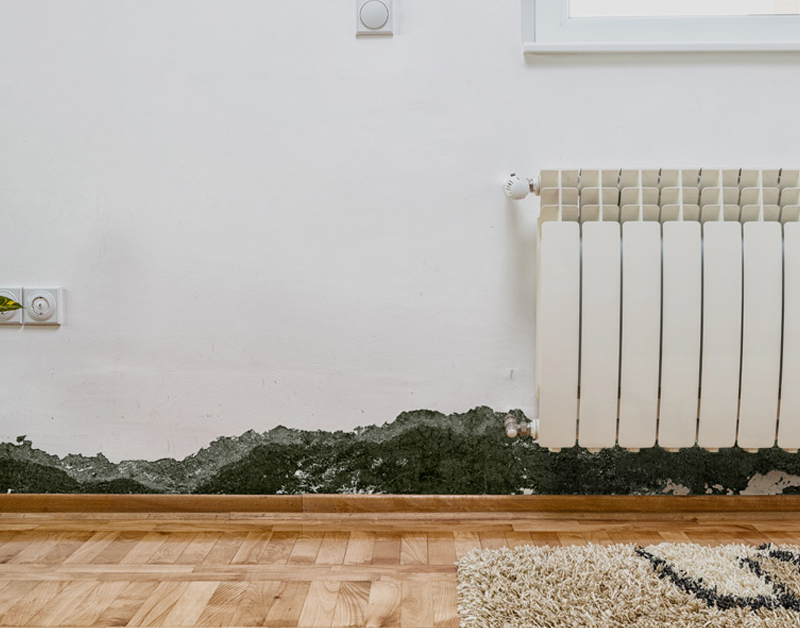 If a flood or leaking water pipes have caused damage to a home or business, then the professionals from a water damage Reno company can help to prevent further damage and to perform repairs. Water can slowly seep behind walls and below floors, which will increase the costs for repairs. Mildew is a problem that is difficult to control because the odor can emanate from a tiny source. Professional restoration services can be used to completely correct the problems and to avoid complications from water damage. Water damage is not isolated. Electrical connections may be a hazard because water is an electrical conductor. Any water that has seeped into an electrical connection will carry electricity outside the connection. Carpets may need to be cleaned several times before mildew and odors have been removed from the fibers. Water can cause wood to warp. The wooden floor that is below floor tiles could warp, which would cause appliances and furniture to wobble. The hazards could cause fires and loss of life. A leaking water pipe can cause water to seep inside concrete blocks, walls, kitchen cabinets and doorways. The mildew will cause unpleasant odors and be difficult to control. A similar problem can be caused by condensation that is allowed to accumulate in places that are not insulated. If the water does not drain away or evaporate, then wooden doorways or cabinets may eventually rot. Professionals from a restoration company can identify problems and recommend suggestions for preventing further damage. Homeowners have a huge investment in their homes and garages. Business owners rely upon office space for conducting business with customers. 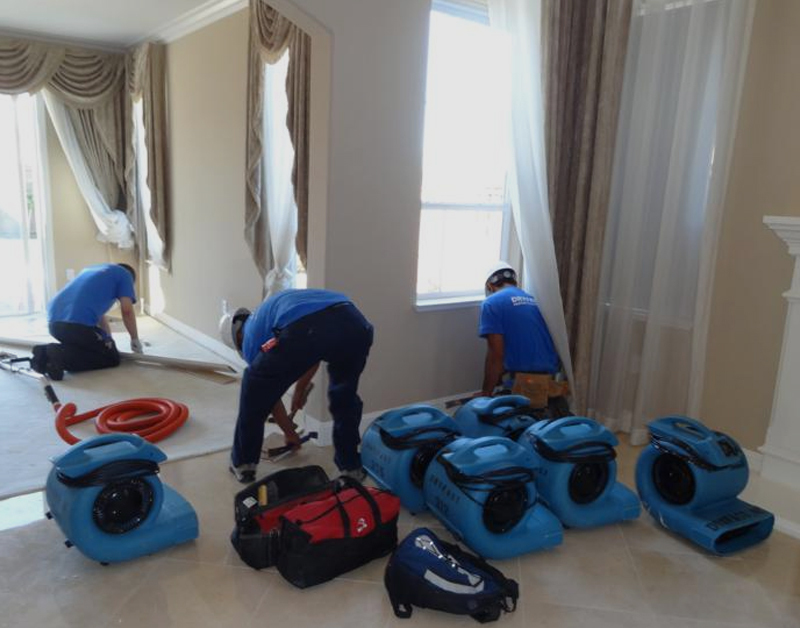 The services from professionals will help to make repairs and to quickly correct problems that are caused by water damage. There are processes that are used to increase the rate of evaporation within a room, which will help to stop any additional damage. The costs of professional restoration services can be used to protect investments and to quickly return to normal activities. The professionals can assess the damages, provide an estimate for the costs of repairs and offer suggestions about precautions. They can quickly begin services to correct the problem. The team of workers will have enough professionals to begin repairs in each room that has been damaged. They will prepare a list of services and repairs that should be performed in a precise sequence for preventing further damage. The professionals can quickly remove carpeting from the rooms and begin the evaporation process before the repairs. The decisions about repairs should be made with adequate information. The restoration professionals can provide literature about water damage and explain the reasons for making specific repairs. They can also advise about potential hazards such as about not using the electrical outlets in the rooms that have been flooded. A professional inspection will help to assure homeowners about the parameters of the problem. The repairs can be listed with priorities that are associated with safety, protecting personal property and with controlling problems such as problems from mildew. The professionals will increase the rate of evaporation. The wet furniture and carpeting will be moved to a different location. Electrical connections and appliances will be inspected to determine if there has been damage. The professionals can recommend treatments for restoring furniture and fabrics. Solid wooden planks will have less damage than wooden planks that are made from particle board because the particle board is made from wood chips and a resin, which could separate. There is a quicker return to normal activities with the services from a water damage company. It is crucial to keep a home free from mold build-up, which can cause a number of problems. When mold accumulates in a home, it can cause serious health problems that include respiratory problems. The Center for Disease Control reported that mold can grow anywhere. It is easy for mold to grow in a home, and mold can spread rapidly. Mold grows quickly in warm and moist areas that are between 72 to 81 degrees. However, with proper maintenance, a home can stay free from mold and keep members of a household healthy. In order to prevent mold growth in a home, it is important to keep the humidity level between 30 and 60 percent throughout the home. A homeowner can keep gutters free from debris, which will improve the drainage and help reduce humidity in basements and attics. If a homeowner notices condensation on walls, windows, or pipes, then it could be a result of high humidity. A homeowner can purchase a moisture meter at a hardware supply store that can adequately measure humidity levels in the home. A homeowner can effectively prevent mold growth in his or her home by using mold-inhibiting cleaning products in kitchens and bathrooms. Furthermore, a homeowner should clean air conditioning units at the start of each season. If a homeowner is painting areas that can become damp, such as kitchens and bathrooms, it is recommended to use a mold inhibitor paint that is approved by the EPA for indoor use. If a homeowner notices a leak, then it is vital to repair the damage as soon as possible. If water is left standing on carpets, then mold can grow rapidly. A homeowner should remove any wet carpet or upholstery and clean it properly as soon as the leak is noticed. A homeowner should also inspect his or her roof for water stains after a storm, which can indicate that a leak is present in the roof. Mold can accumulate quickly in places such as bathrooms, so it is recommended to turn on the exhaust fan after a shower. After a person takes a shower, the moisture in the air can accumulate in places that are difficult to clean. When a homeowner uses the exhaust fan after a shower, it will reduce moisture in the bathrooms and prevent mold from accumulating. When a homeowner keeps windows open while the air conditioner is running, then it allows humid air to enter the home. When the humid air enters the home it causes condensation, which can cause mold to grow. By keeping the windows shut when the air condition is running, a homeowner will reduce the chances of mold accumulation. Mold can be difficult to remove, cause permanent damage to a home, and increase the chances of health problems in household members. When a homeowner takes the necessary measures to prevent mold accumulation, it yields the best chances of keeping a home free from mold. Unfortunately indoor flooding is a common problem that homeowners encounter. Unless a home sits on a high area, flooding is a possibility if a home is not protected properly. There are important steps a homeowner can take in order to prevent indoor flooding, which can save money and prevent a home from incurring permanent damage. Here are common tips for preventing indoor flooding. The angle a home sits on, which is known as the slope or grading, is responsible for directing water to and from a home. In order to prevent indoor flooding from occurring, a home should be built so water flows away from the base of the structure. If a homeowner wants to determine if water flows from his or her home, then this can be done by observing how the water flows after a storm. If a home is on a street that accumulates standing water after a storm, then he or she can talk to county planning for suggestions about flood prevention. In order to help clear water away from a home, a homeowner should be sure to keep gutters and drains free from clutter. A homeowner can also check storm drains on the street, which can cause potential flooding if they are cluttered with debris. If your home was built on a slope that can lead to flooding, then a French drain can be an effective way to ensure flooding is prevented. A French drain works by collecting water in a yard and transporting it safely from a home. If a homeowner notices cracks in the foundation of his or her home or leaks in the roof, then it is crucial to repair the damage immediately. When there is a leak in the roof or cracks in the foundation, water is able to get into a home easily, which can result in flooding and further damage. Cracks in the foundation can be repaired with hydraulic cement, masonry caulk, or filling. When repairing a roof, then it is important to check if flashing, which is the underlying structure of a roof that prevents water from soaking through, is securely in place. A homeowner can also inspect the roof to ensure all shingles are in place. When inspecting a roof, it is vital to use proper safety equipment and have another person present. If a homeowner is not comfortable repairing his or her roof, then a roofing professional should be contacted. The purpose of a sump pump is to allow water to be pumped away from a home, which is an optimal way to prevent against flooding. There are two primary types of sump pumps, which are known as pedestal and submersible. A sump pump is usually installed in a basement or crawlspace. There does not have to be an abundance of water accumulation in a home to cause substantial and costly damage, which is why it is beneficial that a homeowner take the necessary steps to protect his or her home from indoor flooding.